The 9 to 5 work schedule is changing. 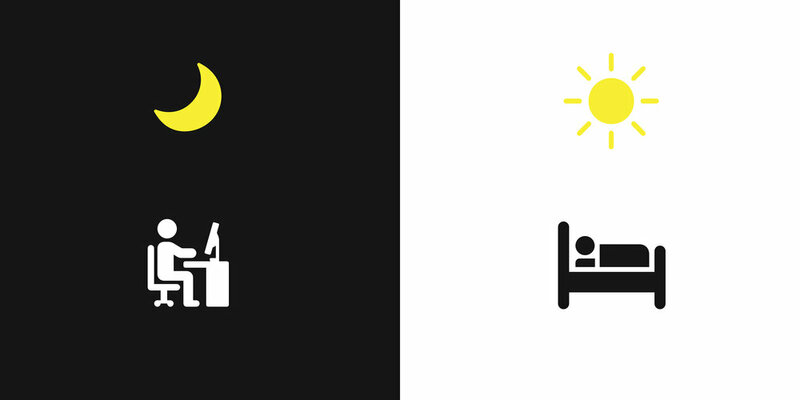 In modern life, there are people who work night shifts, and people who need to study all night. Emergency room workers can be called on at all hours. People with new businesses may have to stay up at night, too. Some just prefer to work at night. 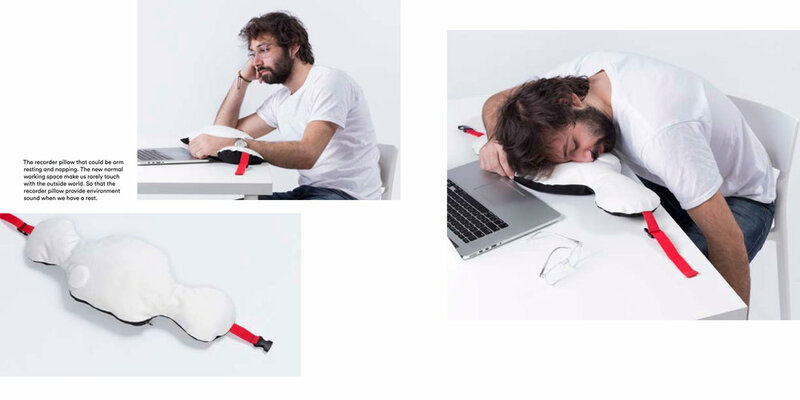 The New Normal is a lighthearted project which aims to make the working environment more playful. No matter where people work, they are often in a confined and isolated space that can feel stressful. This project provides soothing and energizing elements to make any work space more comfortable.No matter where people work, they are often in a confined and isolated space that can feel stressful. 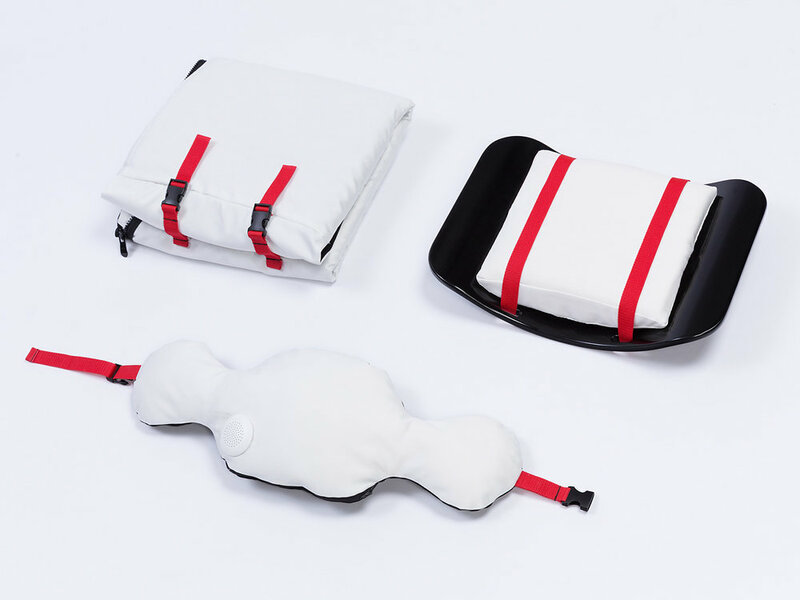 The objects of The New Normal include a removable backrest that also functions as a blanket, a moveable recorder pillow, and a foot ramp to allow leg movement.